Planning a conference is no easy task. It takes time and dedication of a full time staff to get it right. One of the first tasks on the to-do list is finding the right conference venue. There are plenty of options in and around the UK including the Derby Conference Centre and the Nottingham Conference Centre. However, your task is to find one that fits with your needs. Consider the following tips to make the most of your event. Obviously, the costs of your event will be the greatest indicator of what conference venue is right for you. Keep in mind logistics such as chairs, tables, lighting, deposits, the sound system and any other items that would otherwise need to be rented out. These costs add up quickly, so keep them in mind as you move forward with the planning process. Lodging is another important point to consider. Where your delegates and attendees can stay is equally as important as where you hold your event. Instead of simply choosing the location based on costs, keep lodging in mind as well. Without a place to stay, many of your invitees may decide to skip the event altogether. The Derby Conference Centre and the Nottingham Conference Centre both have plenty of accommodations available nearby. Staffing includes concierge services, wait staff, security, and even valet parking. If you require any of these services than be sure that they are offered by the conference venue you're considering. You don't want to have to find staff at the last minute to ensure your event goes off the way you had planned, so be sure and ask up front if this is possible. Are you looking for advanced technology such as wi-fi, sound systems, microphones, and charging stations should be considered when you choose a venue. Your attendees will likely want these technological features for the event, so be sure and ask about this when touring any event space. You also want to keep in mind set up and how early your team can come in and make the necessary adjustments to the space. The earlier the better, so make a point to ask about this. 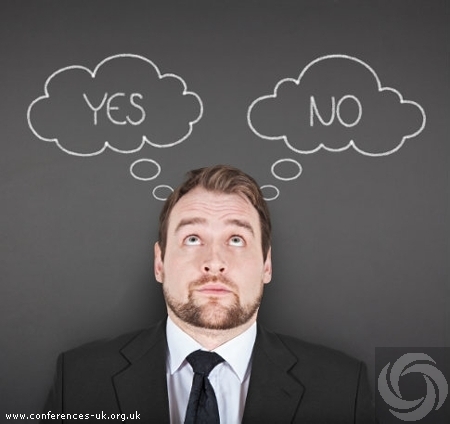 Whether you opt for the Derby Conference Centre, the Nottingham Conference Centre, or any other your conference venue should thoroughly meet all of your needs no matter what. So keep these tips in mind for the best possible outcome.